The 27-year-old has been a revelation while on a season-long loan from Benfica, with his 15 goals in all competitions making him Nuno Espirito Santo's top scorer. 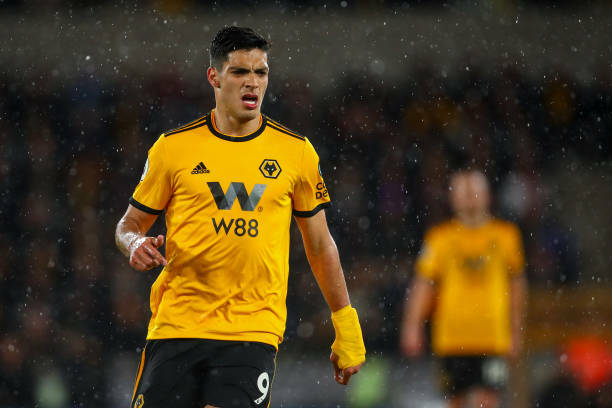 It is thought Wolves will be paying the Portuguese side a sum in the region of £30million for the Mexican. Jimenez has struck up a potent partnership with Diogo Jota in recent months that has been instrumental in the club's rise to seventh in the Premier League, and their journey to the FA Cup semi-finals, in which they face Watford at Wembley on Sunday. Wolves had an exclusive option to make his temporary stay a permanent thing an option they have now exercised. It is expected he will be tied down to a long-term deal that should see him enjoy his peak years at Molineux. Jimenez said recently: "I'm enjoying it. I love being here, we are making very good things. It's very good for us. "I was dreaming about coming to the Premier League, but I wasn’t sure when I could get there. "It’s all about hard work, always doing your best, and that’s what we all do here at Wolverhampton." When asked how negotiations were going, Nuno said last week: "It is the same situation. We know we have time to make a decision. “We are very happy with Raul and his performances, so when things are done, there will be an announcement. Jimenez's Premier League total of 12 for Wolves is the joint-highest in a single season for the club since the top flight's rebrand in the 90s, matching Steven Fletcher's tally from the 2011/12 term. His popularity has been so huge that fans have coined the popular 'Si Senor' chant in his honour. It is another statement of intent from Wolves, who tied down Jonny Castro Otto on a permanent basis in a £15million back in January. They have also awarded new contracts to skipper Conor Coady, Matt Doherty and Romain Saiss over the past couple of months.